“Accordingly, our own Universe may be the interior of a black hole existing in another universe.” So concludes Nikodem Poplawski at Indiana University in a remarkable paper about the nature of space and the origin of time. If that doesn’t make you want to read the rest of this post, you’re a real silly goose. 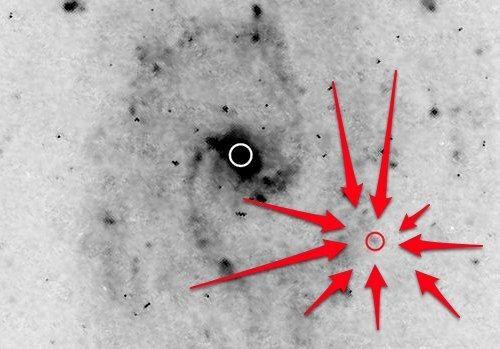 Have Scientists Found First Ever Proof Of Ejected Black Hole? A mystery object in a galaxy far, far away could be a supermassive black hole that got booted from its home galaxy’s center, according to a new study. 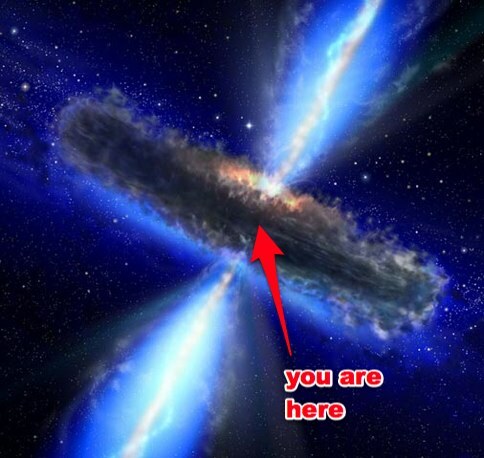 Then again, the strange body could be a rare type of supernova or an oddball “midsize” black hole—more massive than black holes born when single stars explode but “lighter” than the supermassive ones at the centers of galaxies. “All three of those [options] are exotic and have something peculiar to them,” said study co-author Peter Jonker, an astronomer with the Netherlands Institute for Space Research in Utrecht. Guess which option we’re rooting for? I’ll give you a hint, the site isn’t “Moderately Surprising Things.com”. I believe in the ejected! Posted in Astronomy, Black Hole | Comments Off on Have Scientists Found First Ever Proof Of Ejected Black Hole?